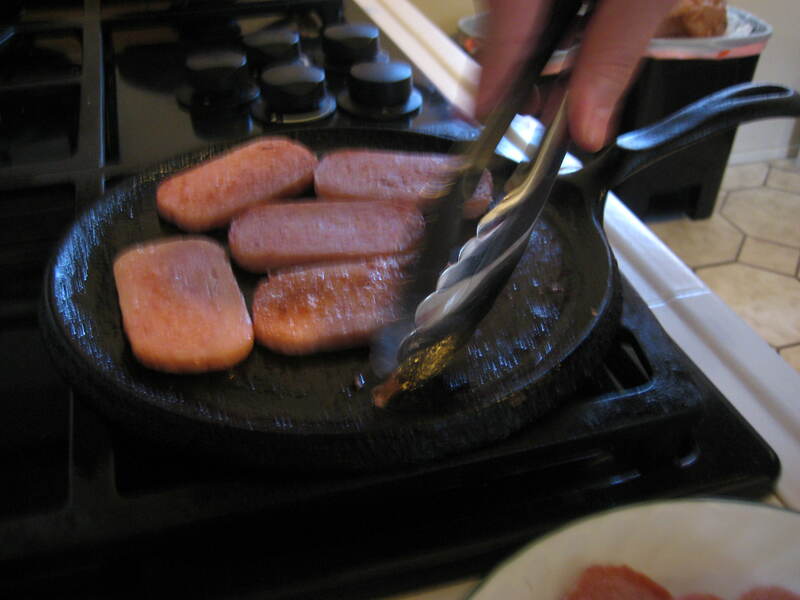 Spam gets a bad rep. 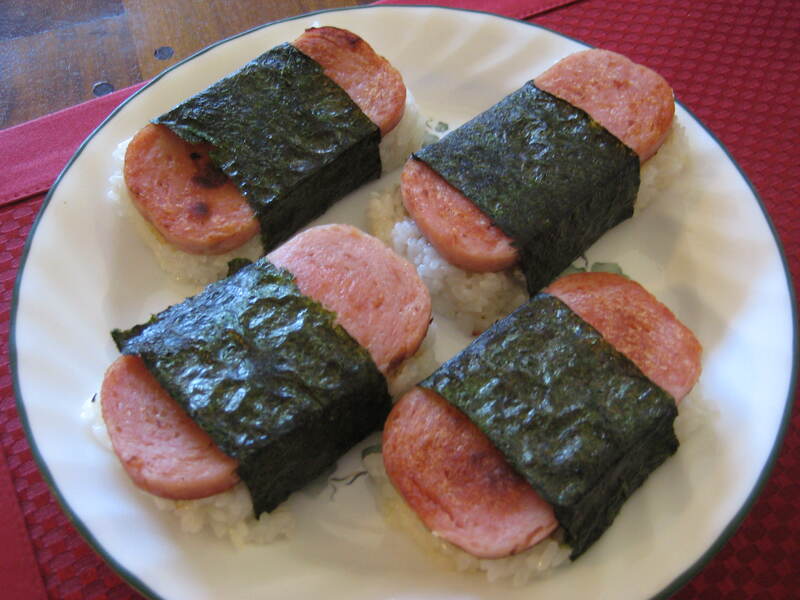 It seems to be thought of as an unidentifiable mystery meat in a can, but as someone who grew up eating the stuff, I will proudly say I love it! 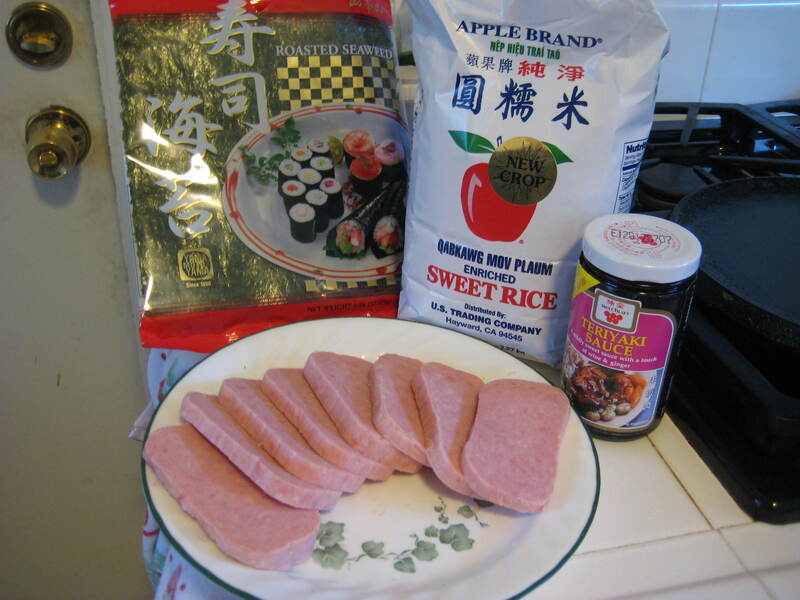 When I moved out of my parents house, one of the very simple joys I missed about that place (aside from my rabbit) is just having Spam and rice for breakfast. 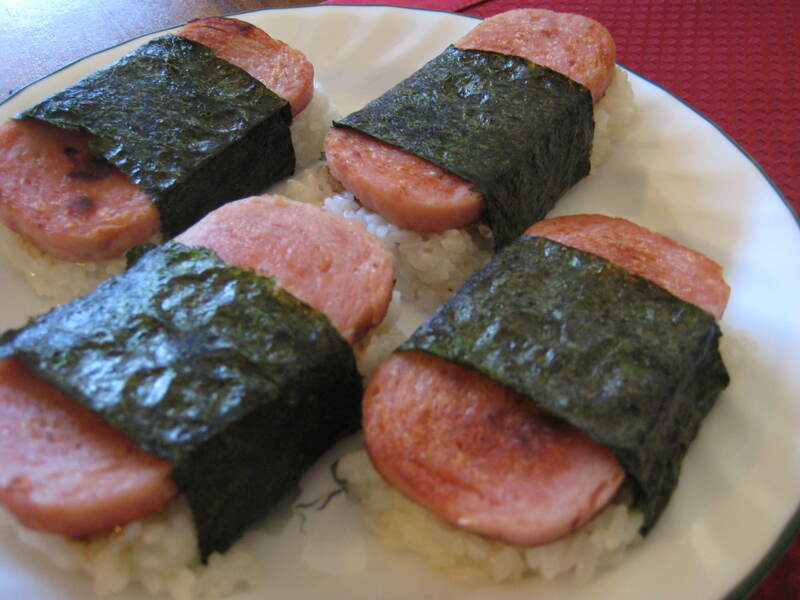 Today Robert and I made Spam Musubi for breakfast, basically a Spam sushi of sorts.